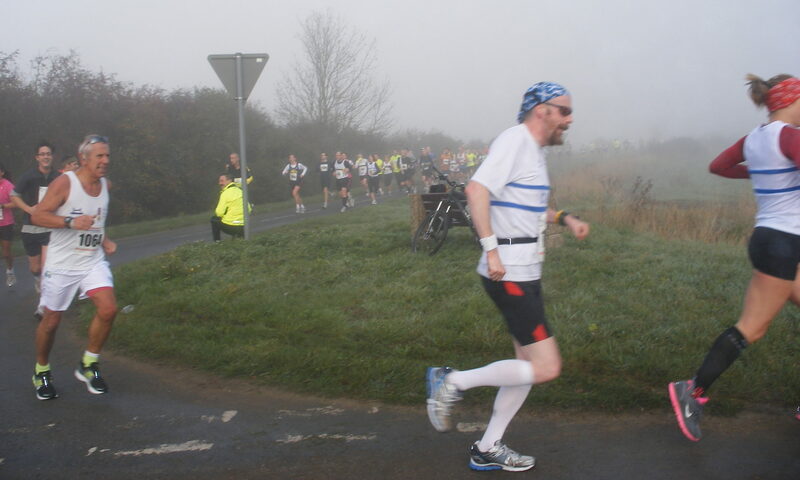 Do you have a place in the Cambridge Half for next March? Are you panicking just a bit because you had a place last year and you don’t know how you’re going to improve on how you did then? Panic no more, because Coach Rich is here to simultaneously save the day and beast your legs until they bleed. Sort of. I’ve put together a training plan for runners with a bit of experience who want to get better. This is not a beginner’s plan. I can do one for you if you want, but this one is for improvers. I’ll be following it myself and we’re going to start on Monday next week, 5 November with the traditional rest day after a Sunday long run. Those of us who are members of C&C will be doing the Tuesday night training sessions and I’ve copied them out below each week so you can see what they are if you’re not a member and you want to follow along at home. Some items may require explanation, others are optional, such as the Wednesday easy run. I like that as a way to shake Tuesday out of my legs and get ready for Thursday. You might find it too much and need to rest. That’s fine. We’ll get together on a Thursday night at the track most weeks and head out onto the West Site for that session. The Thursday hills will be done either off Chesterton Road or between Cherry Hinton and Fulbourn depending on the size of the group. Friday evenings swimming, cycling or easy spinning are entirely optional too. Again, I find them useful but you can rest, or do some yoga or stretching and rolling. I’ve given Saturdays as rest days but you can do a parkrun if you want. The Sunday long run is not an option though and we’ll be meeting up to run together if you want. I’ve given it in time instead of distance because we’ll mostly be doing out and back along the Roman Road, Fleam Dyke or other quiet and off-road parts of the world. You might want to give yourself a set distance and I’m happy to discuss that with you if you want. We’re going to meet for the long run at the end of the first week in the Gogs car park at 9:00am. I’ll set up a Facebook group and a weekly email if you want encouragement or support. Running a good half marathon is not an easy thing to but it can be easier with some support. We can support one another.